My mother’s version of dress shoes. My mother and I were loading up the car, getting it ready to take us to Canada, when she stopped packing to place the call. It was an unplanned midweek trip to attend my Great Uncle Bob’s funeral. The day before, Aunt Winn, his wife, had asked Mum to “say a few words,” because my mother is, apparently, the funny one in the family. I could feel the panic radiating across the room. “I just had to call her and warn her,” Mum said as I gave her the stink eye. When my mother retired from “The Bank,” she retired a certain corporate executive dress code. I remember coming home from school and seeing a pile of pantyhose in a Bloomingdale’s Big Brown Bag. There were one or 2 unopened pairs, and these were passed on to me. The rest — burned, or might as well have been. Her St. John’s suits were moved into the guest room closet. The year I graduated college, she had her first hip replacement. This shelved her Ferragamo high-heel collection. Her second hip replacement after my grad school graduation sealed it — the pumps were toast. I was free to salvage any that fit, but the majority went to Dress for Success. She lost 50 pounds, and then eventually, she turned 70. And so, with Retirement, 2 hip replacements, and being “over 70,” as her Get Out of Jail Free Cards, it was: Good-bye, formal! Hello, comfortable! My mother may have as many sneakers as Imelda Marcos had shoes — 3,000 pairs? Sure. It’s getting there. She has become the Imelda Marcos of sneakers while her collections of designer handbags and jewelry remain her main source of pizzazz. Most “occasions” result in an “I have nothing to wear!” crisis. This includes evenings when Mum and I decide to have a mother-daughter girl date. Eventually, she gives up. I guess that just because she’s given up skirts and suits in favor of a wardrobe of leisure doesn’t mean she’s given up taste… there’s no velour in this retiree’s future. Meanwhile, I’m grateful for the cast-offs. One can never have too many Ferragamos. 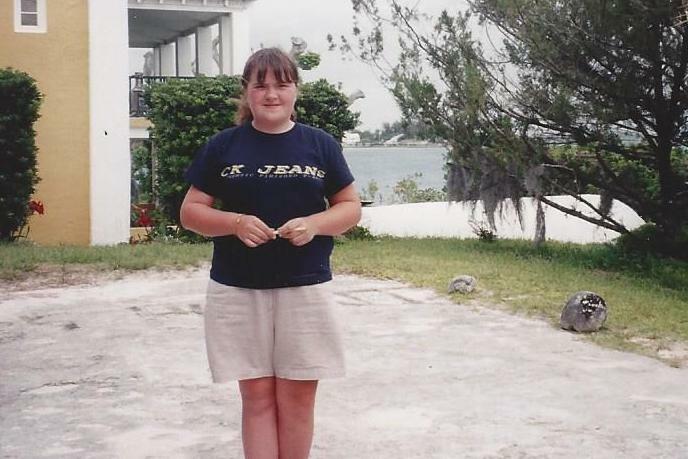 It’s photos like this I mostly wish were never taken of my awkward tween years. Remember when you’d take your roll of film to the local drugstore and you would automatically get duplicates? So, not only did you have one set of photos you’d rather burn, you’d have 2… that’s 4 double chins. And while there was no social media circulation, you had the distinct non-advantage of having tangible proof that once upon a time you were the size of a blimp. I stumbled upon the “Quebec Summer: FAT PHASE” envelope in the midst of some appliance-melt-down-induced cleaning. The photos, along with others from my more youthful summers, were striking reminders that when you grow up the chubby, knock-kneed girl, you grow up with an awkward relationship with shorts. When your thighs touch, there’s almost no short length that doesn’t ride up when you walk. Instead of neatly aligned horizontal hemlines, the bottoms of your trunks form a wobbly V. It’s not only unattractive, it’s uncomfortable. Walking in bunched-up shorts is like walking with a golf ball wedged between your legs. So you learn to adapt. First, you try the “Cowboy Walk.” The idea is to look like you just got off a horse after finishing a cattle drive. You point your feet away from each other and widen your stride, attempting to keep your legs as far from each other as you can. It’s equal parts swagger and waddle. It’s also highly inefficient. When you realize this is about as effective as the Cowboy Walk in ridding yourself of the ride up, you give into the walk, stop and pull down. 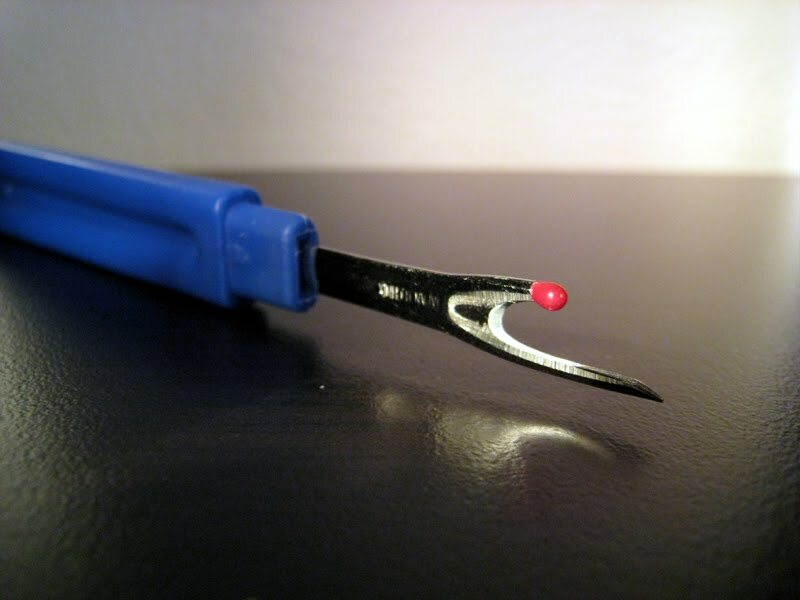 It’s painfully obvious, but it gets the job done. If you’re hell-bent on wearing shorts, these adaptations are better than the alternative, which is obsessing over something you can’t really change — the gap between your upper legs. Or, you can do the far more sensible thing and forego the shorts all together. Skirts are classier anyway. I’ve nicknamed my thighs the seam splitters…. Right now there are 3 pairs of jeans draped over a wicker armchair in my bedroom, each a victim of the seam-splitters. One pair just returned from a tailor who painstaking reconstructed the upper legs with patches, as if the jean were an ancient, priceless Athenian terra cotta vase. The other two are awaiting the same treatment, though they are more likely destined for the trash. None of these victims have seen more than a year of action, and yet, despite their youth, there they lay, the stitching along the inner thighs torn asunder, split and worn away — jeans in their prime, fatally maimed in the name of fashion. I know the distressed/patched/custom look is always chic, but still…. It’s a fate I prepare myself for every time I go shopping: the jeans I buy will split along the inner thighs. I’ve come to think of jeans as if they are pantyhose: not quite single use, but I shouldn’t get too attached — it’s only a matter of time before “tricks of the trade,” like applied clear nail polish or hairspray fail and the devastating run wins, rendering them unwearable. I’ve learned to spot all the signs that a tear is pending, that the next wear will probably be my last. If I do find a winning pair, they get set aside as “special occasion” jeans. Sometimes, I just buy two right up front. What is a relatively new phenomenon is acceptance. This is just how I’m built. We all have those body areas that give us grief and make us self conscious. For most of my life, that area was my thighs. For years, I attacked fitness routines and diets promising trimmer legs. It was a mean twist of irony when, as I got fitter, my legs packed on muscle, so instead of shrinking, they got bigger. When I was a competitive athlete, my thunder thighs were an asset. Now that I’m retired, my main goal at the gym is to keep my thighs in seam-splitting shape. In case you missed my Red Carpet interview, I wore an emerald-colored gown to the Oscars. 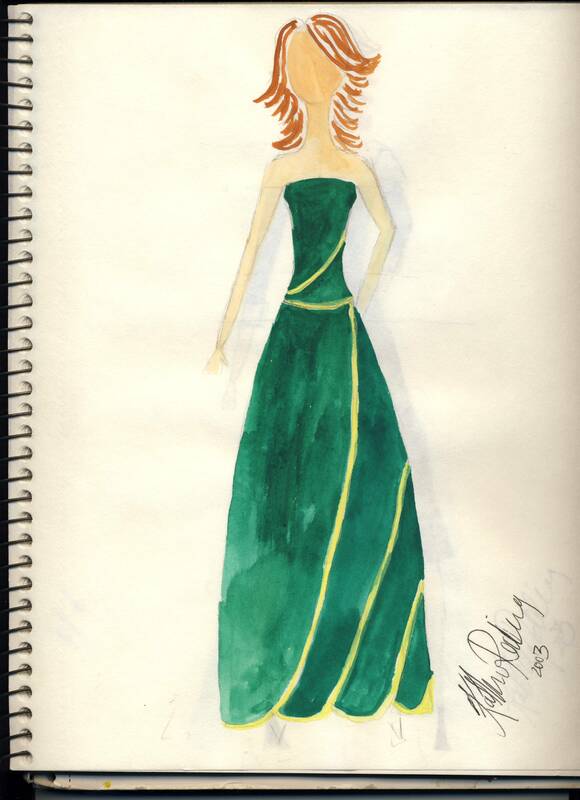 When I was 17, this is what I planned to wear to the Oscars…. It was a strapless number, structured through the bodice but draping effortlessly from the hips. There are understated gold embellishments that are really only visible when I move — an effect for the Red Carpet paparazzi. It’s vaguely inspired by Whoppie Goldberg’s spoof of Scarlet O’Hara’s curtain gown….. It’s a knock-out, sure to land me on every best dressed list. And with an imaginary flash of the photographer’s camera, and an adieu to Ryan Seacrest, the daydream ends and I remember: I was not at the Oscars. When my friend Annie and I were writing our respective masters’ theses, we’d often procrastinate by conjuring up our Oscar nights. I’d always more or less return to the same scenario — attending on the arm of Gerard Butler in my jewel-toned gown with baubles by Harry Winston. This year, I went with Bradley Cooper…. Anyway, all of this bring me to the point that, when it comes to the Oscars, all I really care about is the clothes. It’s been a long time since I’ve watched the Oscars having seen enough of the nominated movies to give any intelligent input about which deserves what. Of course that doesn’t mean I don’t have opinions. Every year, there’s a movie nominated for Best Picture that I absolutely refuse to see, under any circumstance. 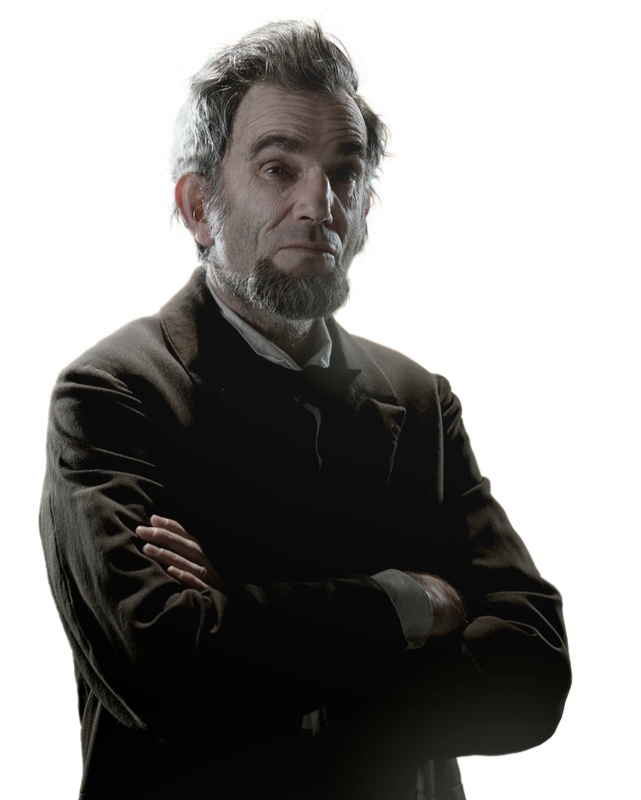 In 2013, it’s Lincoln. Don’t ask why… you’ll be here for hours…. Oh, and Les Mis. I won’t see Les Mis. I didn’t like it on Broadway, and I don’t expect to like it on the big screen. Even if Russell is in it… So I’m just not going to watch it. I saw Argo and I loved it. It wasn’t an extraordinary movie, on par with some of the great films in history, but there was something about it’s understated quality and veracity that made it incredibly watchable, dare I say riveting. I want it to win something. I wished I’d seen Zero Dark Thirty. I’ll probably catch it when it hits Netflix. When Katherine Bigelow beat out ex hubby and mega egoist James Cameron in all the important categories with her Hurt Locker (hands down one of the most memorable and powerful movies ever made) I was positively giddy. So, I’m secretly (and with blind prejudice) pulling for her latest film to take home some big awards. If Ann Hathaway walks home with that Oscar this year, there’s a good chance I’ll throw something at the television. My signet ring. I never leave home without it. I was sitting at the bar of the Brasserie, a restaurant in midtown Manhattan where I can say “I practically grew-up here!” It was happy-hour hour and I was enjoying a St. Germain spritzer with my mother who had just survived hours of unpleasant dental work. Her face was puffy. We both agreed champagne and elderflower liquor would be a more effective pain killer than the Vicodin in her purse. There was a group of young bank management trainees clustered at the end of the bar, awaiting an orientation cocktail party to begin. 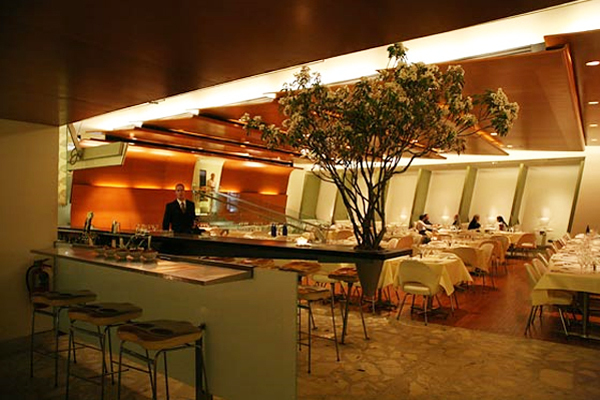 The Brasserie -- the resturant I practically grew-up in. I had yet to put in my drink order when one of the trainees slid onto the stool next to mine. I could feel him looking at the side of my head — sometimes I think those crimson feature extensions I installed send the wrong message — and he crunched his ice in my ear. After a several minute assessment, he had decided my over-sized class ring was his best in. His comrades stared at us like this was a middle school dance and he was the boy dared to ask the one female in the room if she wants a turn on the floor. My mother and my new best friend Karissa, the bartender, giggled like 12 year girls. sometimes I think the feather extension I installed send the wrong impression. I returned to my menu and minutes later, he got the message and abandoned his efforts. My mother gave me her signature smack in the back of the head. I shrugged. Luckily, I was given a second chance, of sorts, the next day. Justin was the 6 foot something, Mediterranean-colored, plaid-wearing North Face salesman who sold me my snowshoe-ready anti-slip snow boots during a lunch-break trek to the shopping district. Looking at his dark complexion and athletic build, I was sold. I happily explained my course of degree with self-deprecation. “You sound just like me!” he replied, referring to my economics undergraduate turned art history grad student. "Leave it to you," my mother cried, "to pick the starving artist." I settled on the boots and we quickly swapped life stories. He was an economist turned ceramic artist turned pro golfer. Besides an affinity for this sporting life, green tea and Hudson Bay coats, we shared mutual friends in the local art world. By the time I signed my receipt, he had asked for my business card and promised to stop by the gallery to see our current exhibit. To make amends, I promised I’d do happy hour at the Brasserie more often… signet ring in tow, of course. How Many Capes Does One Girl Need? The Real Question is, How Big is her Closet? 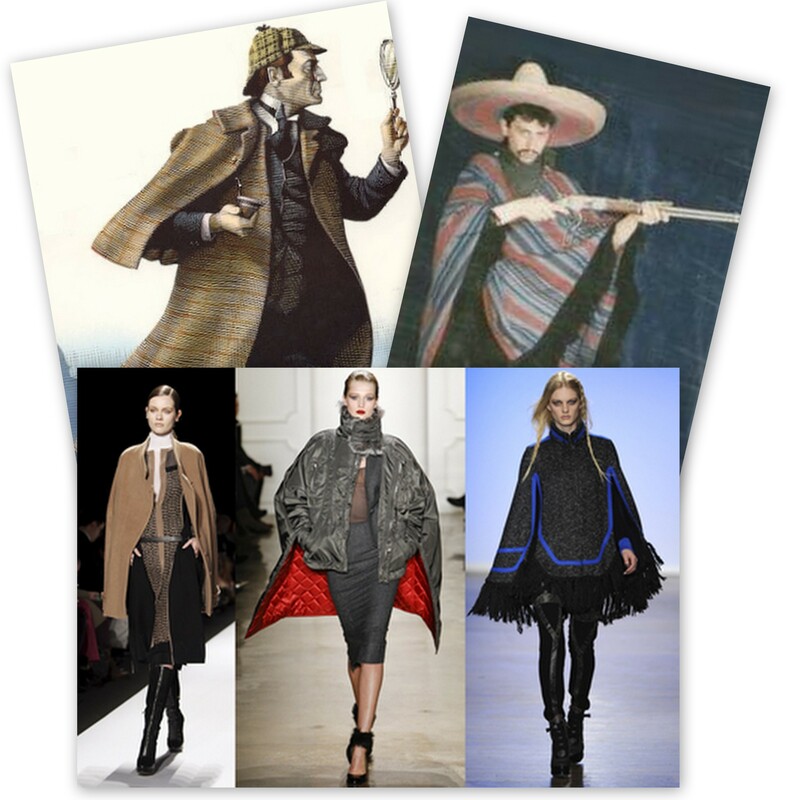 Capes have come a long way from Banditos and Sherlock Holmes. Now they're the hottest trend in fall outerwear. For me, the cape is nothing new. There’s always been one or two or three in my closet, in some incarnation. When the recession hit and I decided the most sensible shopping destination was my mother’s closet, I quickly accumulated a few more. 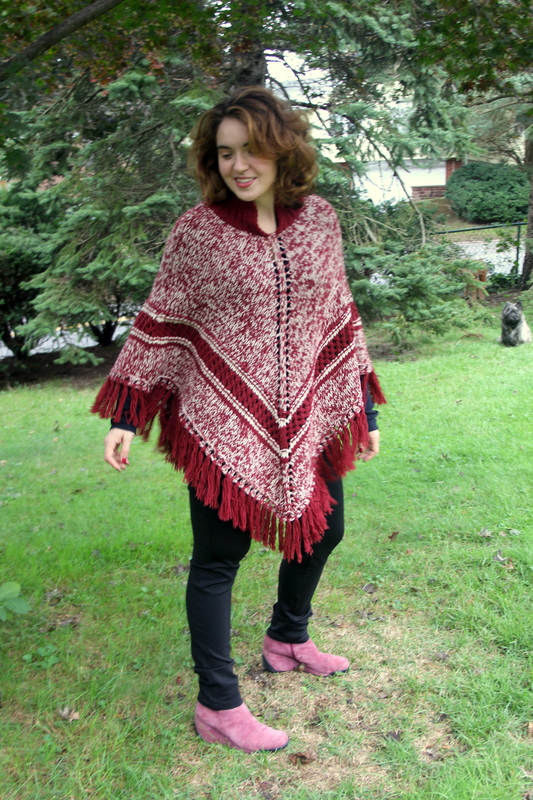 I bought this fringed poncho in 2004, when I was a student in college and in need of something I could quickly toss on as I bolted out the door to class. It’s become a mainstay this fall as my daily go-to outer layer. Technically not a cape, this cloak-like draped jacket is one of the most exquisite things in my closet. My mother bought it in Ireland nearly 30 years ago. 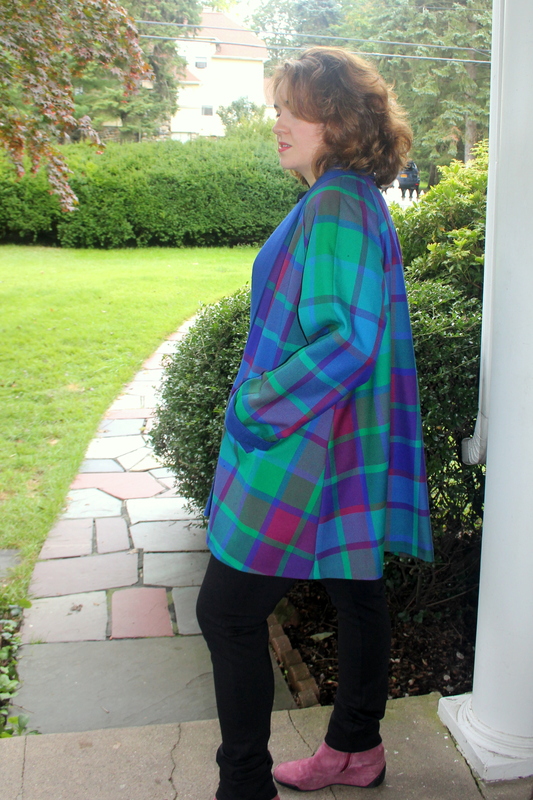 It’s bold and elegant, and the neon-plaid makes it a perfect fit for this season’s highly saturated color palette. It was matched with a royal blue tweed pencil skirt that I had re-tailored and wear separately with more understated accessories. Sometimes, my inner Victorian needs some drama. A London purchase my mother made, before I was born. 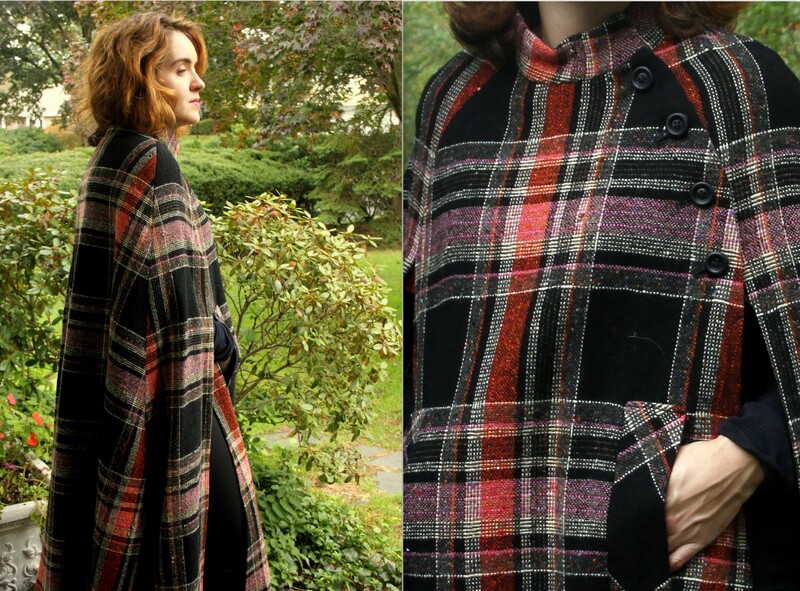 The high neck accented with big wooden buttons and long hemline are what I love most about this cloak, but the orange and mauve plaid make it a classic for fall. The length and high neck make this a dramatic piece worthy of a Victorian centerfold. I’ve always had a thing for the wild west. 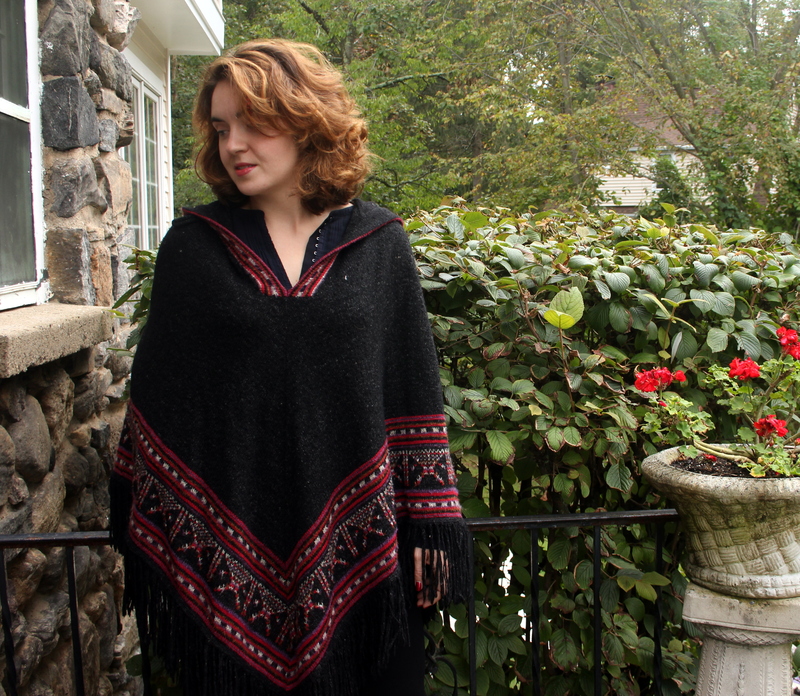 The hooded, fringed cape is sophisticated and warm. Paired with black leggings and patent Farragamos, it’s already made more than one Saturday night downtown appearance in 2011. 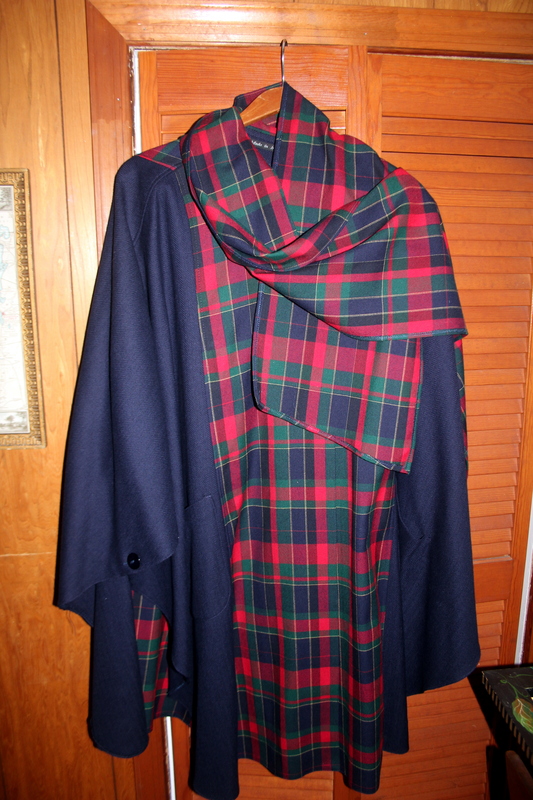 Purchased in Ireland in the 1980s, the lightweight navy blue wool with the plaid accents and wrap around hood is probably the most practical of all the capes I’ve inherited.